Recent developments have pushed the limits of resolution in astrophysics to new frontiers. Very-long-baseline interferometry (VLBI) at millimetre wavelengths or using antennas in space yields resolutions down to tens of microarcseconds (that is, fractions of nanoradians). These observations probe compact objects such as the innermost regions of active galactic nuclei. Space VLBI is living a new era at present with the results from the RadioAstron mission, enhancing radio interferometry in terms of resolution at least one order of magnitude with respect to ground-based VLBI. Millimetre VLBI also brings radio interferometry to a new range of resolution and with much enhanced sensitivity due to improvements in data bit rate. With more antennas capable of VLBI at 3-mm wavelength, and successful observations being carried out at 1-mm, a new window is open to universe at unprecedented resolution. This workshop will review recent results on high resolution radio astronomy, including opportunities provided by new antennas becoming available. It will also discuss on the applications of high-resolution imaging techniques and the synergies in the study of compact objects by space and mm-VLBI together. Contributions to the workshop will be published online in this webpage; no regular proceedings are planned. Abstracts will be sent to the Astrophysical Data System. 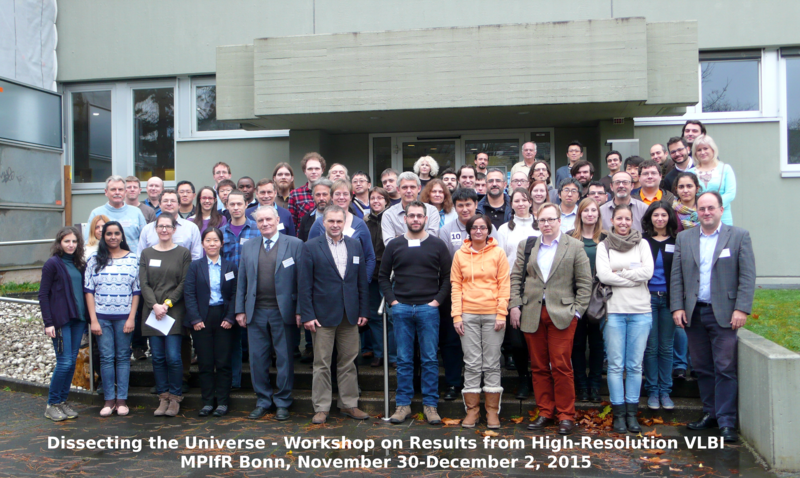 This meeting is sponsored by the MPI für Radioastronomie and by RadioNet3. RadioNet3 has received funding from the European Union’s Seventh Framework Programme for research, technological development and demonstration under grant agreement no 283393.